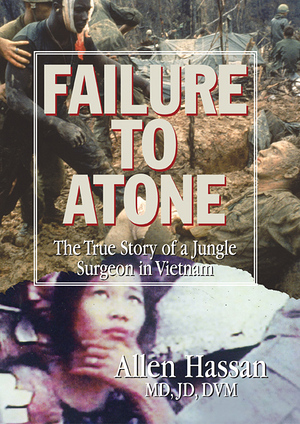 As the only medical doctor in a jungle hospital during the height of the Vietnam War, Dr. Allen Hassan worked day and night as a doctor/surgeon to save civilian lives. He delivered babies in the jungle, performed open-heart surgery and amputations, contracted malaria, flew with the troops, survived a mortar attack on his sleeping quarters, and more. A former US Marine, Dr. Hassan was the youngest doctor to volunteer for an American Medical Association program to help Vietnamese civilians. He witnessed atrocities and other events in Quang Tri Provincial Hospital that have haunted him all his professional life. Failure to Atone is a graphic, heart-breaking memoir, concluding with a plea for reparations to Vietnam, and world peace.